Let’s live the moment of your life that always stays nearer to your heart. 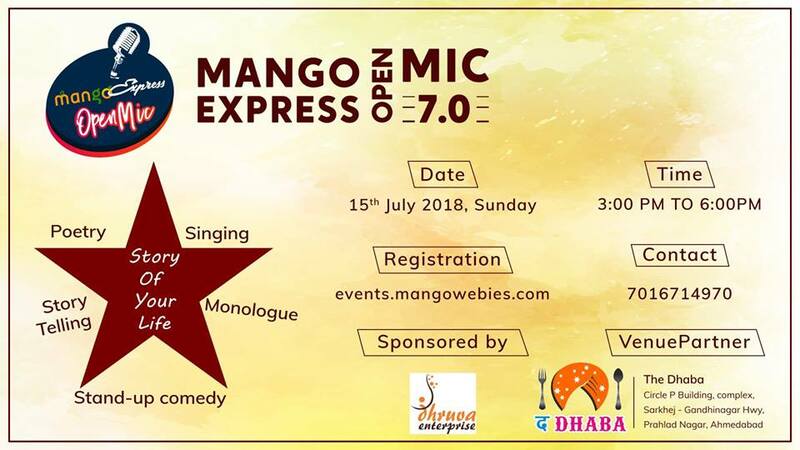 MangoExpress 7.0 brings a platform Where you can share the story of your life, that precious moment which you never forget. Share it in the form of Poetry, Story Telling, Stand Up Comedy, Music, monologue and Singing. Yeah, Your Story with unique formation of words and music.